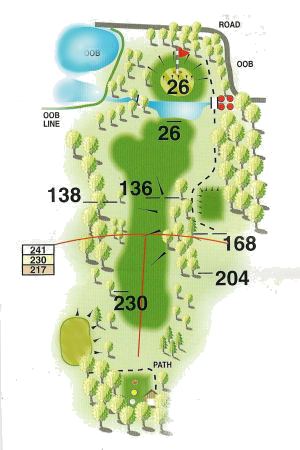 " A straight drive down the fairway will give you a choice - lay up or go for the green with your second shot. If you're in no man's land around the 175 yard mark and one down with a shot, lay up! If not, go for it and experience the pleasure of hitting the green and making your opponent squirm. The pond will usually gather those fast rolling shots that result from trying to force a club." We source and supply tiles we love for your commercial and residential design projects.Based in Bristol, England. We supply across the UK and beyond.